We have brought our own special experiences from years of living a Bali life to share with you. You will experience our insight into Bali by immersing in the idyllic island life, soaking up the culture, scenery and yummy food. Your body will be nurtured with fitness sessions which look after YOU and be pampered with traditional Balinese spa treatments. Image taking in the sights, sounds, smells of Bali paradise as you trek through sublime and majestic valleys and rice paddies. 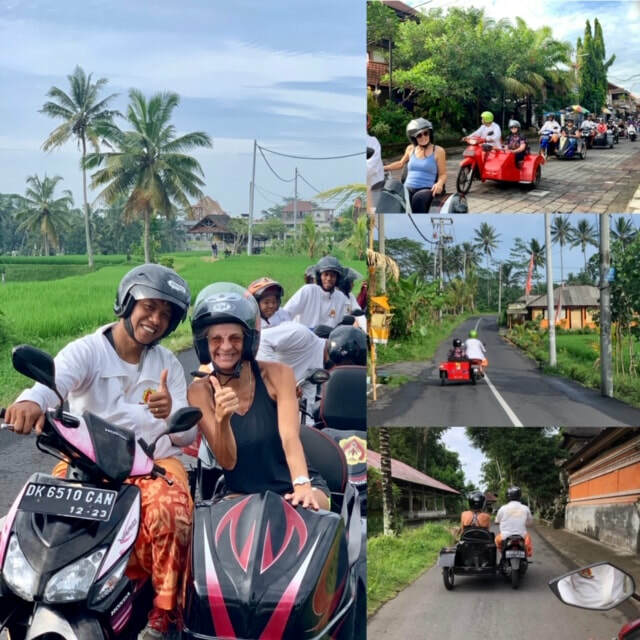 This experience is one of our special insiders treats, off the tourist radar you will get to see the real Bali and meet and connect in with some of our Bali family . 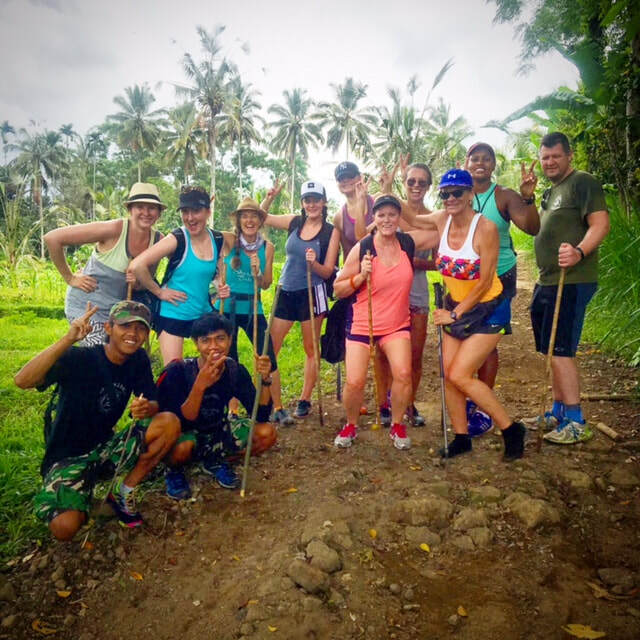 All fitness level catered for, this is an adventure will be one of your many Bali highlights. Our daily non dynamic fitness sessions will nurture your body. Find confidence working your body how it was designed to move. By fusing different fitness elements your body awareness will be awakened and your body will become more aligned creating an inner and outer strength and lightness. Take home tools and strategies to help keep your island glow with Wellness Fitness Coaching Sessions. 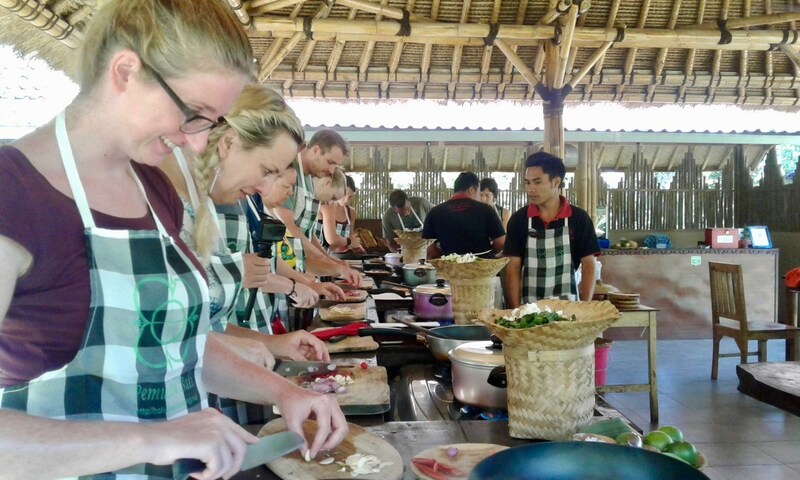 Share your lust for life as we head out to an organic farm cooking school . 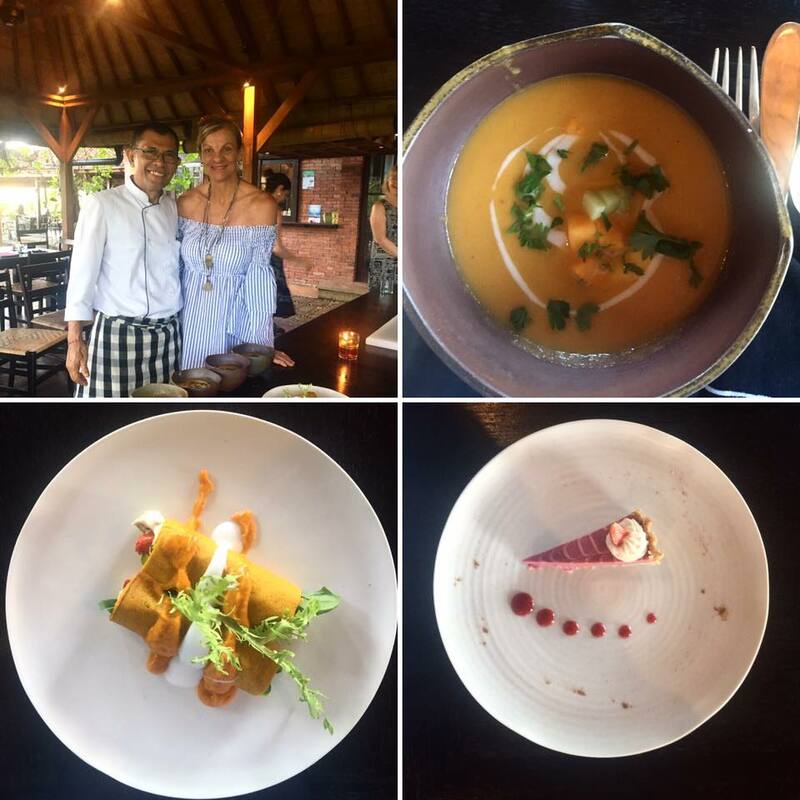 Experience Bali style cuisine, totally authentic, real and of course totally yummy! 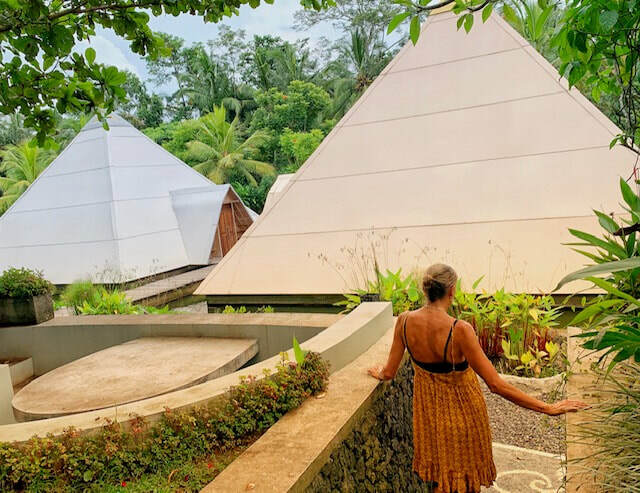 Share the curiosity of the unknown and the eagerness to try new things as we participate in a sound healing session within the totally zen atmosphere of the Pyramid of Chi. Feel the powerful vibrations and the special energies of the pyramid heal and improve your well being as you lie back and absorb the vibrations of possibility and the feeling of total bliss. Indulge your taste buds with healthy organic food as we head out to a couple of our favorite local restaurants. Locally sourced, plant based there is no need to feel guilty this food is totally great for you. Enjoy the yummy food as you chill out with old and new friends creating memories which will bring a smile to your face for a long time. We are going to experience Bali in a totally new way. We will be exploring local life and villages from a sidecar. Sit back and enjoy the sights, sounds of Bali paradise from the safety of your very own side car. Driven by experienced drivers who are excited to show off the beauty of the surroundings of Ubud. 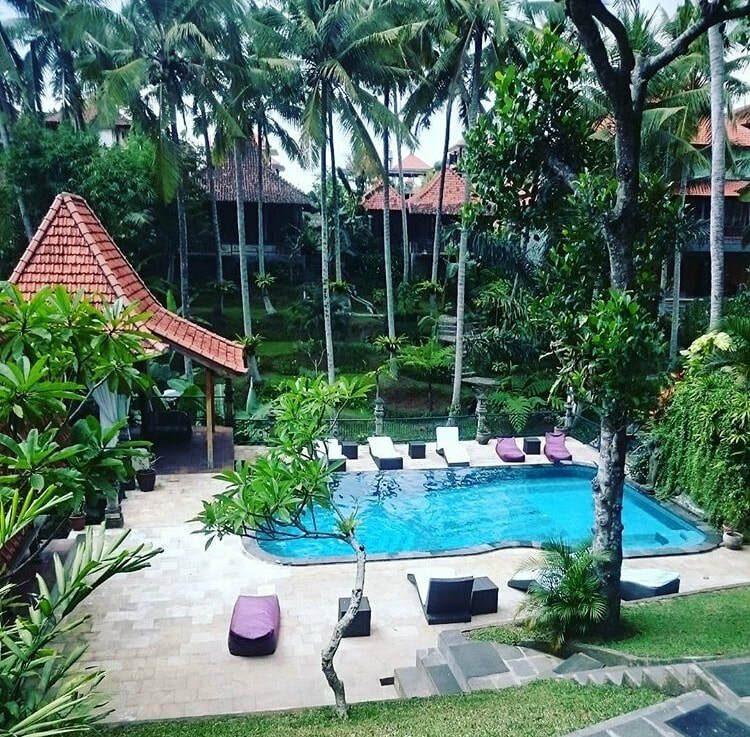 We will be staying in a traditionally designed hotel, in the heart of the cultural meca of Ubud. Surrounded by tropical landscaping it offers a natural sanctuary from the outside world. Beautifully hidden it is a quiet oasis but has the benefits of having shopping, restaurants and galleries close by. A great place to chill out either by the swimming pool or by having one of the in house spa treatments. 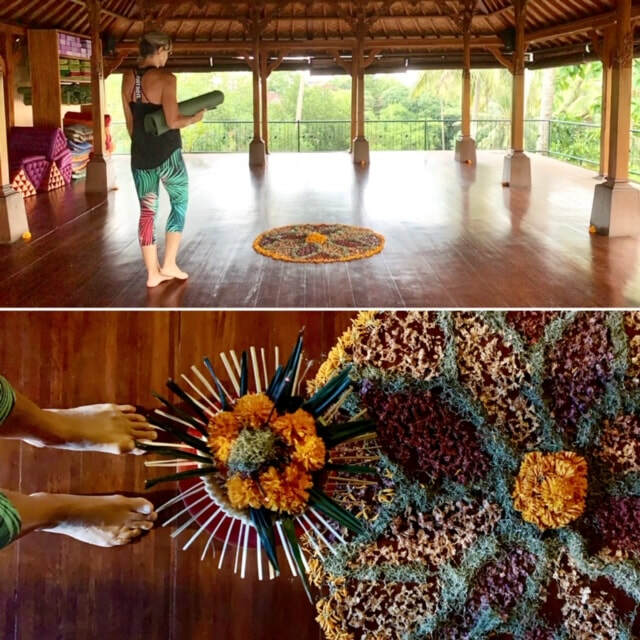 The Bali Insiders Fitness Retreat is the retreat you have been waiting for. 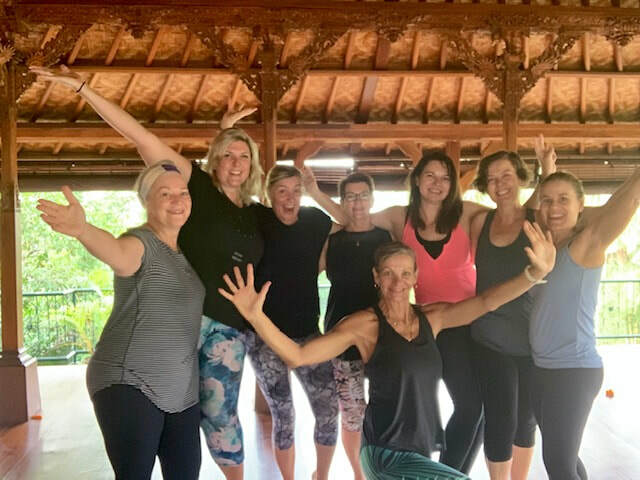 It's a very special opportunity to discover our Bali treasures and insights with a little bit of fitness thrown in.